The much-anticipated Yamaha FZ8 and Yamaha Super Tenere will be going on sale this summer according to Yamaha insiders. Yamaha is working hard to promote both bikes with heavily-disguised images showing parts of both bikes and a recent silhouette of the Super Tenere showing the Yamaha R1-style front lights. 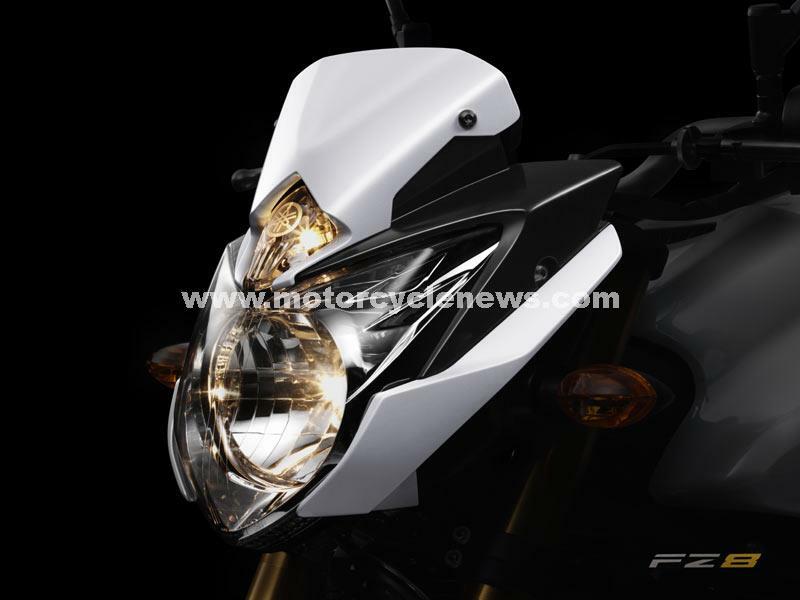 Yamaha officially unveiled the front light of the FZ8 a few weeks ago but there is no further information coming from Yamaha officially. Unofficially the FZ8 is thought to have a smaller capacity version of the 998cc four-cylinder motor from the FZ1 – itself based on the five-valve Yamaha R1 engine from 2005. The FZ8 will be replacing the smaller-capacity FZ6 models as a sporty middleweight naked, leaving the XJ6, XJ6 Diversion and the new-for-2010 XJ6 Diversion F to cater for the novice and all-rounder markets. It’s main rivals will be the BMW F800R, Honda Hornet 600, Triumph Street Triple R and the Aprilia Shiver 750. The Super Tenere silhouette shows boxy off-road-style panniers, reinforcing Yamaha’s hints that the bike will be going head-to-head to with the BMW R1200GS, rather than aiming at Ducati’s more road-biased new Multistrada 1200.